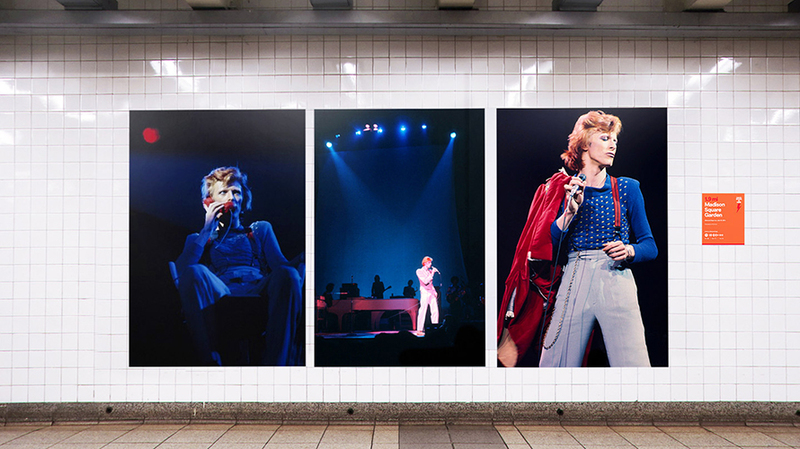 The Broadway-Lafayette takeover promotes the 'David Bowie is' exhibit currently on display at the Brooklyn Museum. 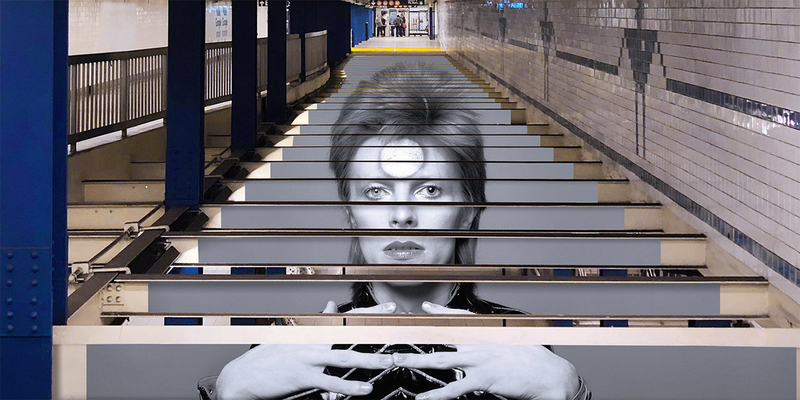 David Bowie may be one of the most iconic Londoners in history, but his relationship with New York City was a long and mutually inspirational one. 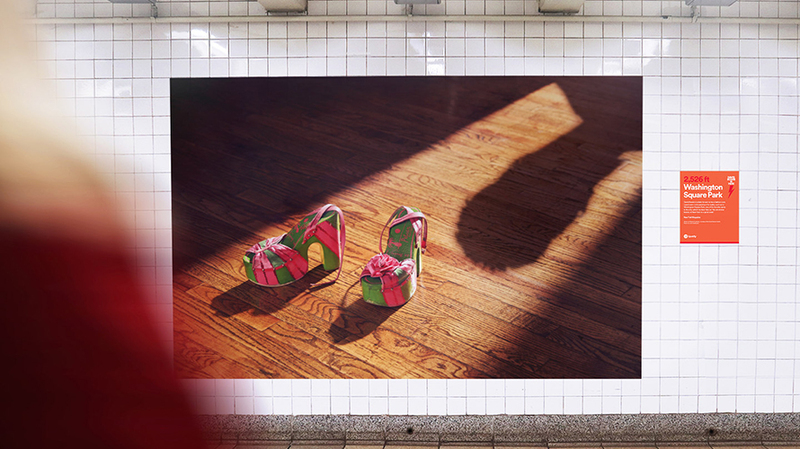 Now, two years after the musician’s death, Spotify is honoring that deep connection in one of the most NYC ways imaginable: a subway station takeover. 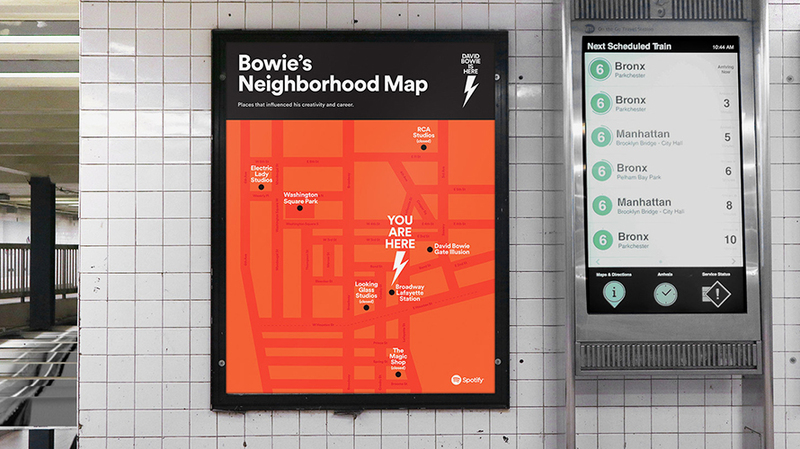 Starting this week and running through May 13, Spotify’s interactive exhibit turns the walls and other surfaces of the Broadway-Lafayette station into a celebration of Bowie aimed at promoting not only awareness of his history in the neighborhood, but also the “David Bowie is” exhibit currently on display at the Brooklyn Museum. 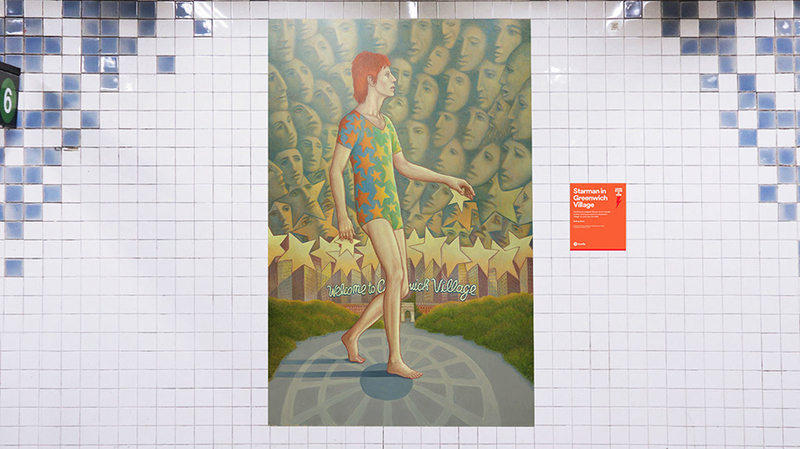 Each piece of art includes an informational sign with commentary from Bowie and Spotify links to experience his music within the app. 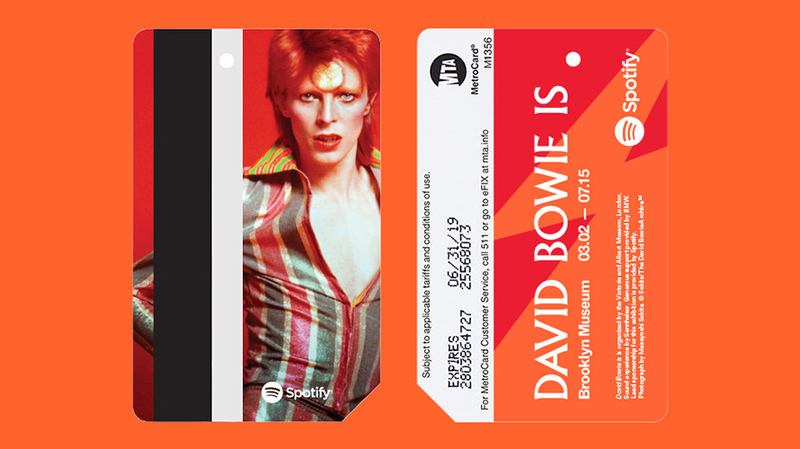 Perhaps most enticingly, limited-edition MTA MetroCards cards featuring Bowie “personas” including Ziggy Stardust and four others will be available for sale at the station. 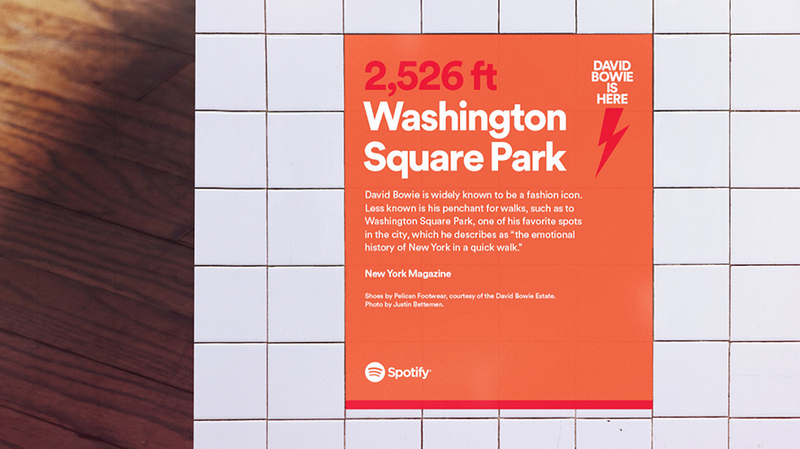 Spotify will also be using its multimedia platform, Spotlight, to debut a new content series called “David Bowie Stories,” featuring interviews, essays and behind-the-scenes stories of his work.